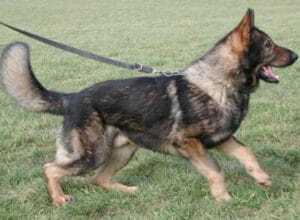 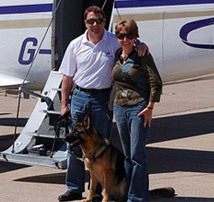 Kai is a large, bi-colour German Shepherd male, bred in the UK and of continental parentage. 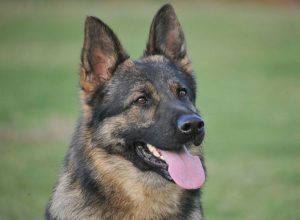 A very capable dog both in terms of his obedience and his protection work, he has excelled in all aspects of his training. 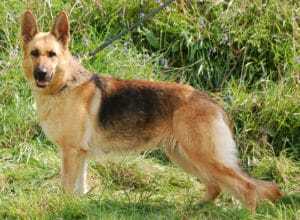 Kai would be suitable for a home with older children as he is quite highly driven and maybe too boistrous when playing with younger ones. 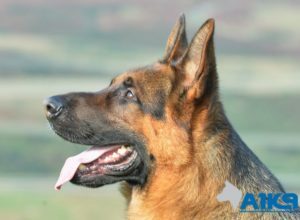 It is without doubt that Kai will afford unrivelled security to his new owners, his personal protection work being excellent and as Kai is a naturally territorial dog we are sure that he will naturally guard his new surroundings. 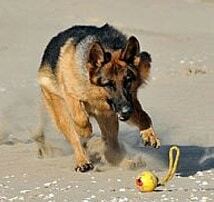 He has a very affable nature and really enjoys one on one time spent with his trainer and is incredibly eager to please.